This single shot was promoted to show the glass ceiling of subjects the Batman animated series was allowed --which you can see by turning upside down--, although it was still a little looser than 1980's cartoons. 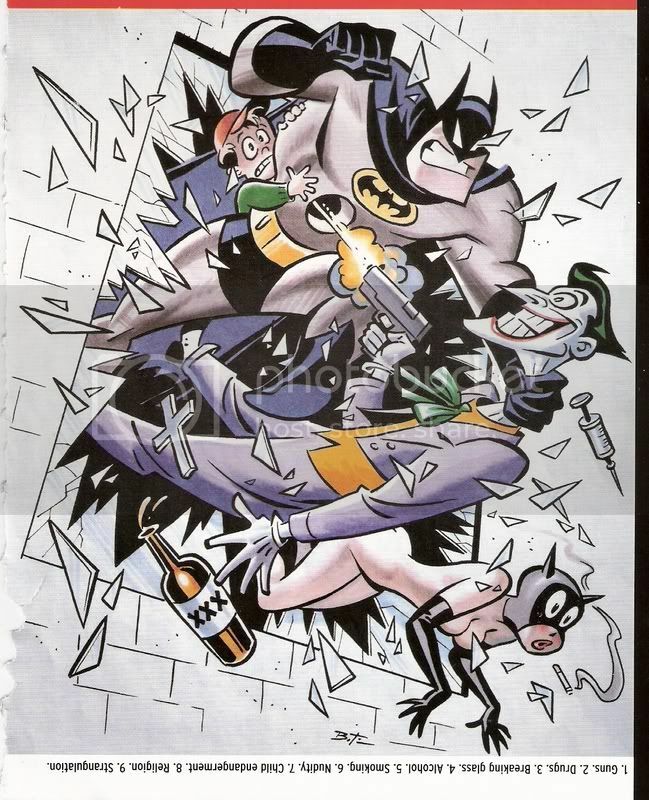 Also, it's a really nice, well constructed picture (courtesy of Bruce Timm), which I always appreciate. That is such a cool drawing. It takes me back to when I was a kid and watching B:TAS with my dad. I just watched an episode and I forgot how intense it was. I love Bruce Timm's work.